Toddler Approved! 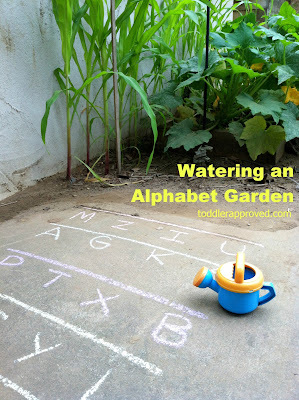 : Watering an "Alphabet Garden"
My children love to help me work in the garden - especially when it comes to watering the plants. Sometimes our plants get a little too much water love when the kids are helping, so I had to come up with another type of garden for them to "water". 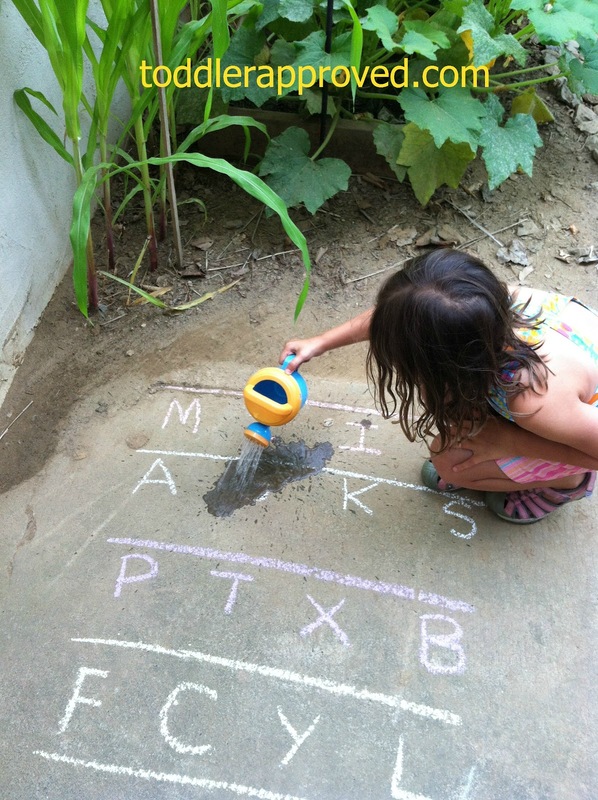 We created an "alphabet garden", making "rows" and planting (writing) letters with chalk. I would call out a letter (or letter sound), and they would "water" the corresponding letter until it disappeared. We continued until our entire alphabet garden was well watered. 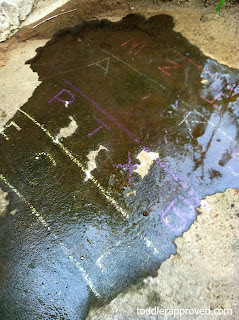 Obviously this game was great for letter recognition (you could also easily substitute numbers/sight words/shapes) - however, I was more surprised with how it taught the kids to control the flow of water from the flower pot. By placing the letters closer together (and only allowing them to water just one letter at a time), it forced them to focus on pouring in a small area, and learning when to stop the flow of water so that it would not spread to the other letters. I love this idea! This something my Nieces would love. I am so glad I stumbled upon your blog I absolutely love it!! What an awesome idea! 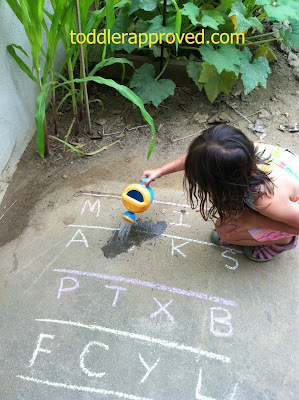 Combines summer fun with letter recognition. Very creative. Neat idea! I can see how it would be a good exercise in controlling the water too.